Foundations of Capability + Building DEV Excellence = CMMI v2.0 Training! CMMI V2.0 is here - and we're certified to teach YOU all about it! The new version of CMMI V2 uses an online format, so attendees of this class will need a laptop or tablet. Foundations of Capability and Building DEV Excellence. 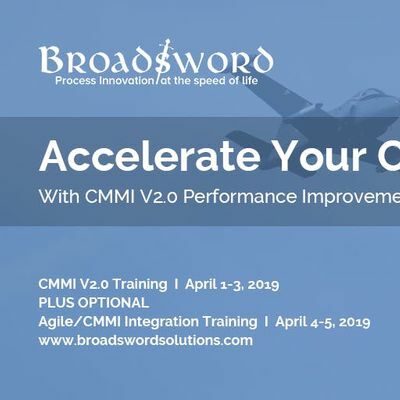 These courses provide attendees with a detailed overview of the new concepts contained within CMMI v2.0 and the new Appraisal Method, and will take place April 1-3. Conducted as two separate classes, the two-day "Foundations of Capability" + the one-day "Building DEV Excellence," this training will provide managers, systems engineers, software developers, project managers, and process professionals with an understanding of how to begin transitioning and using CMMI 2.0. 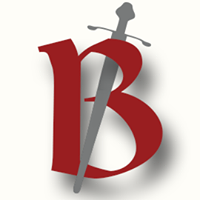 Then, don't miss Broadsword's 2-Day Agile/CMMI Integration Workshop! 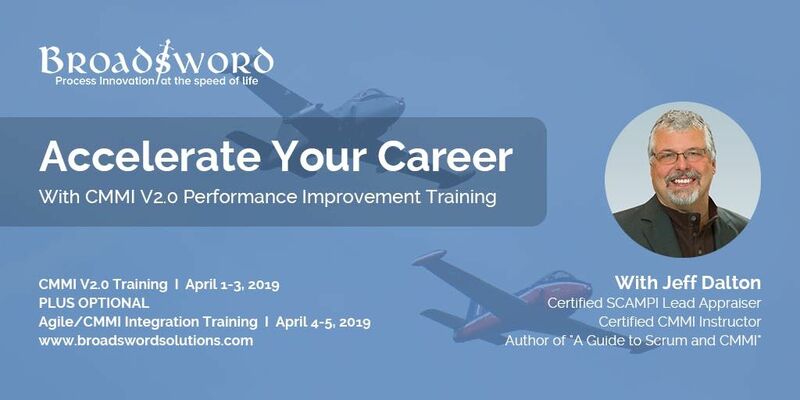 This optional two-day hands-on experiential workshop is taking place in April 4-5, and is based on the Professional Scrum Master (PSM) and Professional Scrum Product Owner (PSPO) certifications from Scrum.org. You'll learn about all the intersections between Agile and CMMI, and how to combine the two methods to best fit your organization's needs. You can receive 21 PDU's towards your PMP Certification for this course! Your instructor is Jeff Dalton, a Certified SCAMPI Lead Appraiser, Certified CMMI Instructor, author, and consultant with years of real-world experience with the CMMI in all types of organizations. Jeff has taught this class to 2000 students at over 300 companies. Cost: Purchase by February 1, 2019 to save with Early Bird discounts!